Despite progress, mental health care is not always consistently or sufficiently covered by health insurance. This is because providers may struggle to bill appropriately to ensure reimbursement, patients may delay or avoid seeking treatment out of concerns about cost or insurance coverage, or maybe not all conditions or forms of treatment are covered. All of this adds up to serious gaps in care, and barriers to providing truly integrated care. ● 18 percent of adults have a mental health condition. That's over 43 million Americans; more than the populations of New York and Florida combined. ● Youth mental health is worsening. Rates of youth with severe depression increased from 5.9 percent in 2012 to 8.2 percent in 2015. Even with severe depression, 76 percent of youth are left with no or insufficient treatment. ● More Americans have access to services... Access to insurance and treatment increased, as healthcare reform has reduced the rates of uninsured adults. The greatest decrease in uninsured Adults with mental illnesses was seen in states that expanded Medicaid. ● ...But most Americans still lack access to care. 56 percent of American adults with a mental illness do not receive treatment. Considering that nearly half of all Americans have co-occurring substance abuse disorders, and 9.6 million experience suicidal ideation, that’s a lot of people. ● There is a serious mental health workforce shortage. In Alabama, for example, there’s only one mental health professional per 1,260 people. Unfortunately, the gap between health insurance and mental health treatment is only fueling the fire, and mental health treatment in the US will only advance once the relationship between the two is reconciled. 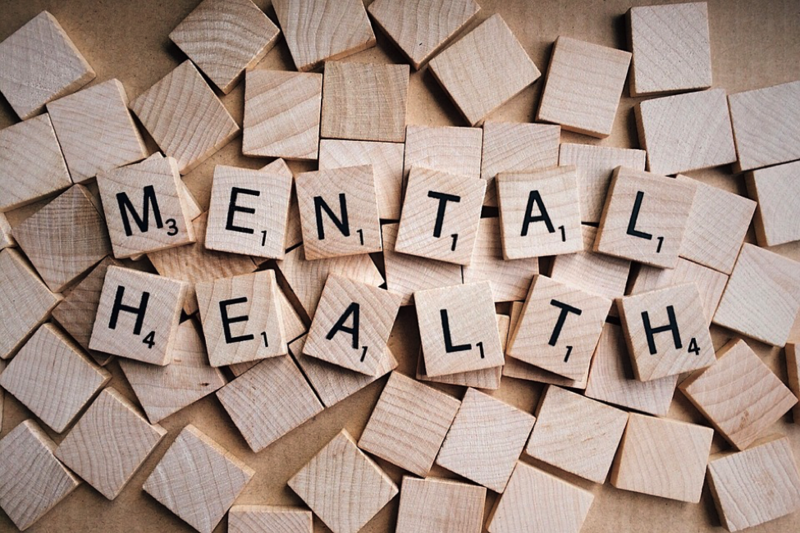 As of 2014, most individual and small group health insurance plans, including plans sold on the Marketplace are required to cover MH/SUD services, according to MentalHealth.gov. They also report that Medicaid and Medicare offer varying degrees of services and support. State Medicaid programs provide some services, while Children’s Health Insurance Program (CHIP) beneficiaries receive a full service array. States will generally determine which services they’ll cover for adults, but it’s required by Medicaid and CHIP that children receive a wide variety of services that include counseling, therapy, medication management, social work services, peer support, and substance use disorder treatment. Fortunately, essential health benefits, including MH/SUD benefits and coverage, are required by the new Medicaid adult expansion. Medicare also covers a wide range of mental health services, including inpatient, outpatient, and prescription drug treatments. 1. Learn more about how you, your friends, and your family can obtain health insurance coverage provided by Medicaid or CHIP or the Health Insurance Marketplaces by visiting HealthCare.gov. 2. Find out more about how the law is expanding coverage of MH/SUD benefits and federal parity protections here. 3. Find help in your area with the Behavioral Health Treatment Services Locator or the Find a Health Center. Unfortunately, even with the regulations that currently exist, there are still barriers that prevent patients from attaining the proper treatment and adequate insurance. For example, the parity law doesn’t actually require insurers to provide mental health benefits — they simply require that, if these insurers do provide those types of benefits, they can’t be more restrictive than other types of general benefits. Another problem that patients may face is that their specific diagnosis might not be covered by the plans that employers or the majority of the Health Insurance Marketplace may offer. This is because any health plan is allowed to specifically exclude certain diagnoses, whether in the realm of MH/SUD or physical health. Last but definitely not least, there are insurance companies that may not actually be complying with the parity laws. It’s worth it to tap into your HR department at work, and to report and track problems through them — or, if you don’t have an HR department or your insurance isn’t provided through your employer, you’ll want to reach out directly to your provider or the state insurance commissioner if you obtained your insurance through an exchange. Providers face similar challenges in terms of dealing with MH/SUD and physical health parity. New analysis shows that lower payments to providers and wide disparities in access to benefits are propping up the inequalities between mental and physical health care. ● Don’t be ashamed to ask for a higher-level employee. Not everyone at an insurance company has the same abilities to help you. ● When a claim has not been paid or responded to after 30 days, file a first level appeal. ● If claims are denied, ensure that you exhaust administrative remedies by filing two timely appeals. Failure to do so could preclude you from filing a formal complaint against the health plan. There are still wide gaps to bridge before mental health care and insurance coverage are really on even footing. Until then, it’s up to you to educate and protect yourself as best you can — and when your best isn’t enough, look to outside parties for help. You’re not the only person or entity that wants to keep insurance companies accountable in today’s world.